Wendy challenged me "to deliver a black cat in a coal mine (a black on black shot)." I've had this black lace eye mask for awhile now, and with Carnival celebrations culminating I thought it would be an appropriate subject. Wendy @farmreporter ... my first black on black. I've been wanting to do something with this eye mask, and your challenge was the perfect opportunity. With Carnival season ending and Lent beginning I thought today might be appropriate. I do have some other black things collecting dust around here, so more may follow. This is great! 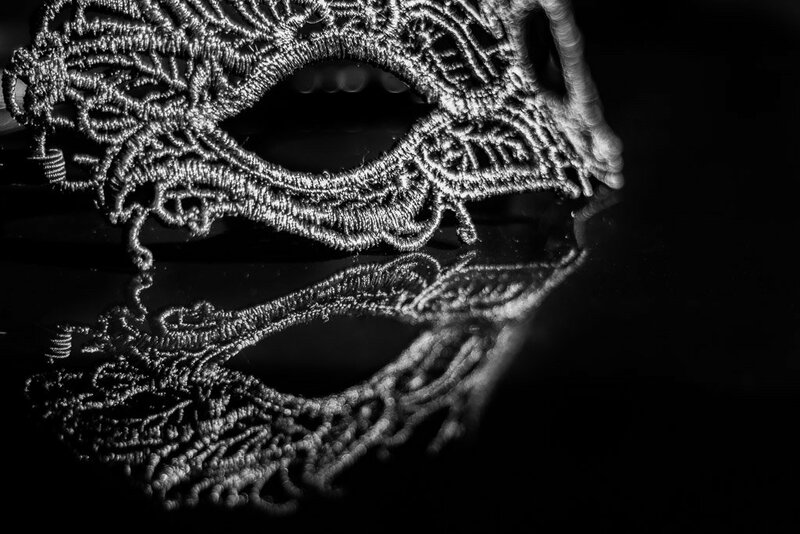 The reflection is wonderful and mirrors the texture of the mask perfectly! Fabulously done set up. Super reflection and details. I love it. An instant FAV. Great set up and the reflection is amazing. Excellent. Love the whole concept.